The Autumn Release of Resco Cloud (version 10.2) brought some significant new capabilities: the preview of offline changes before synchronizing, customizable map styles and the Home Form notifications! Learn more about these and other interesting features on Thursday, February 15, 2018. 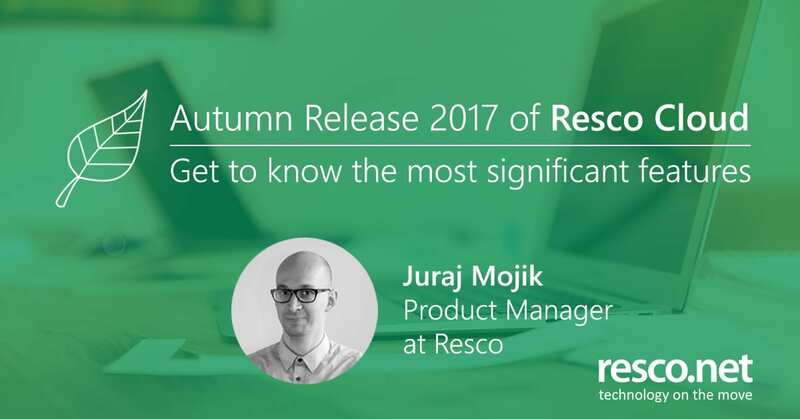 Join us in our live demo webinar, in which Juraj Mojik, Resco’s Senior Developer, will show you how to enhance the app and set up the introduced capabilities in the Woodford configurator.